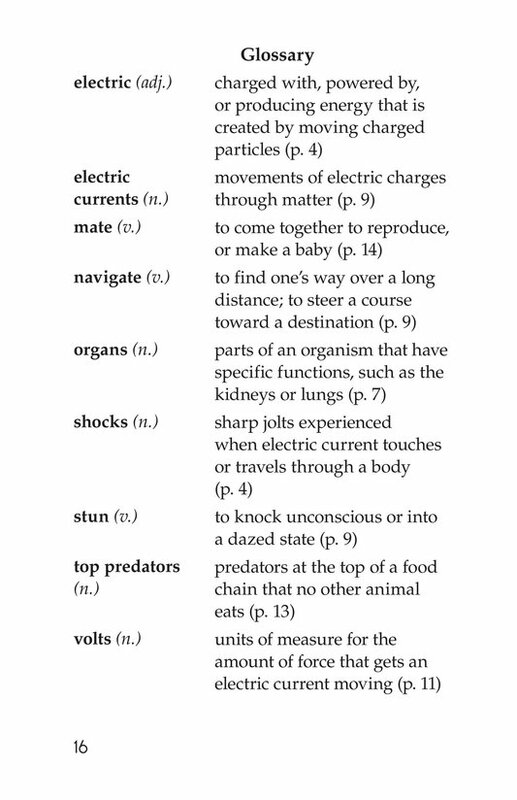 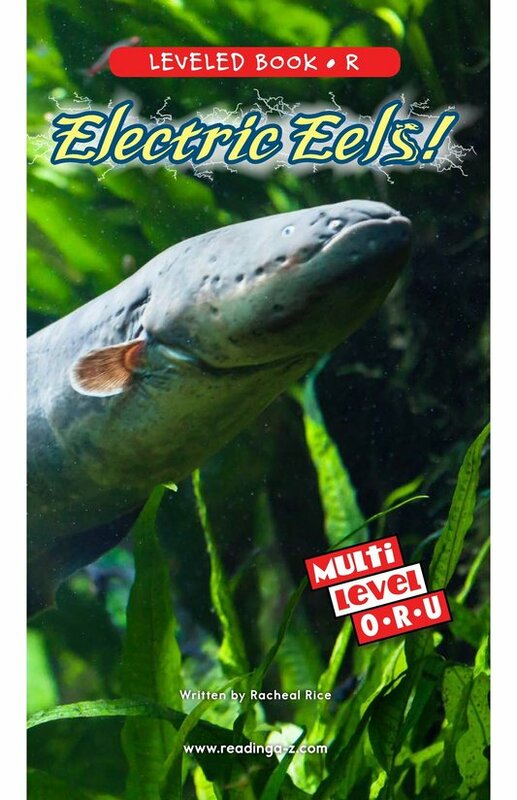 > Books > Leveled Books > Level R > Electric Eels! 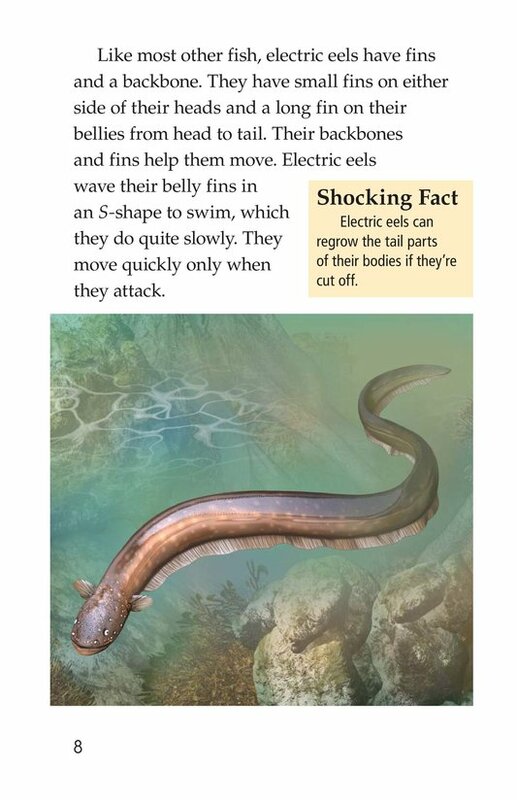 Found in the murky waters of South America, electric eels are fascinating creatures that continue to intrigue scientists. 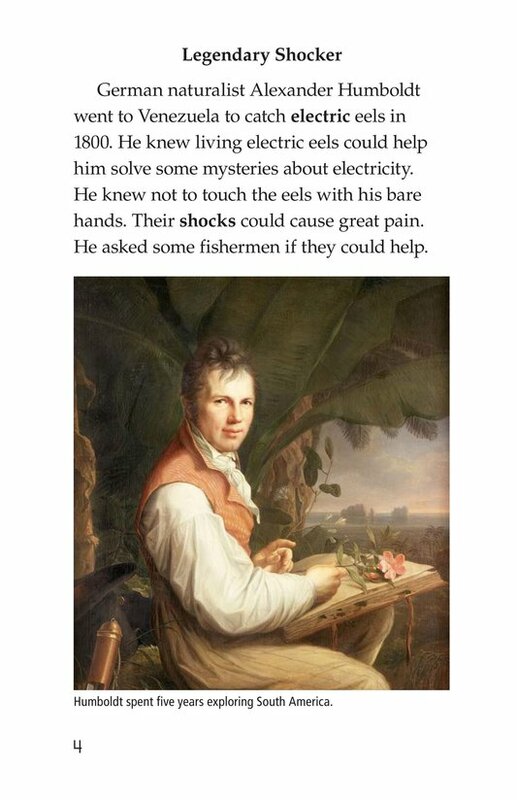 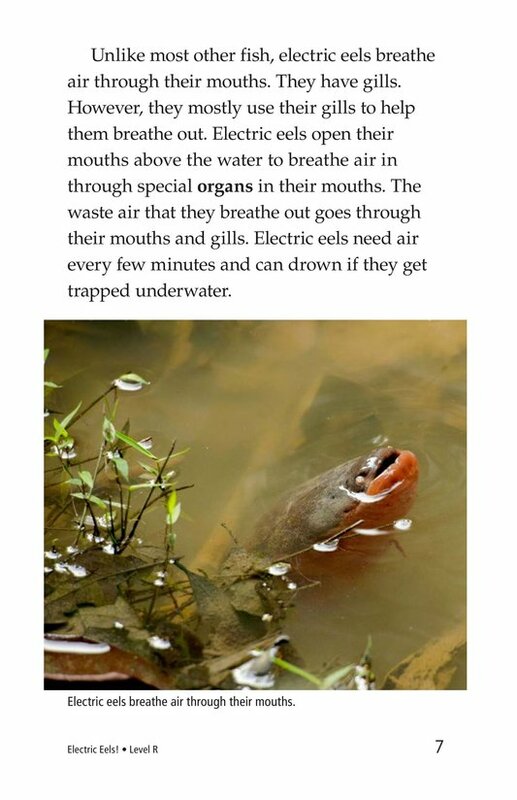 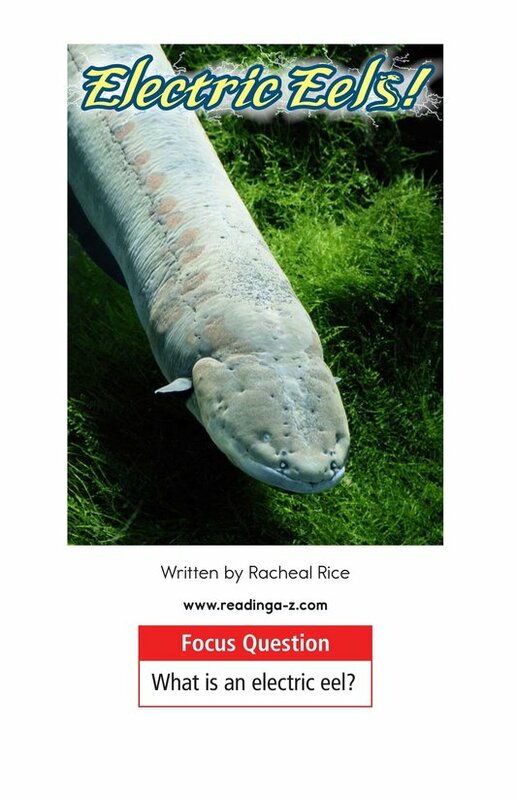 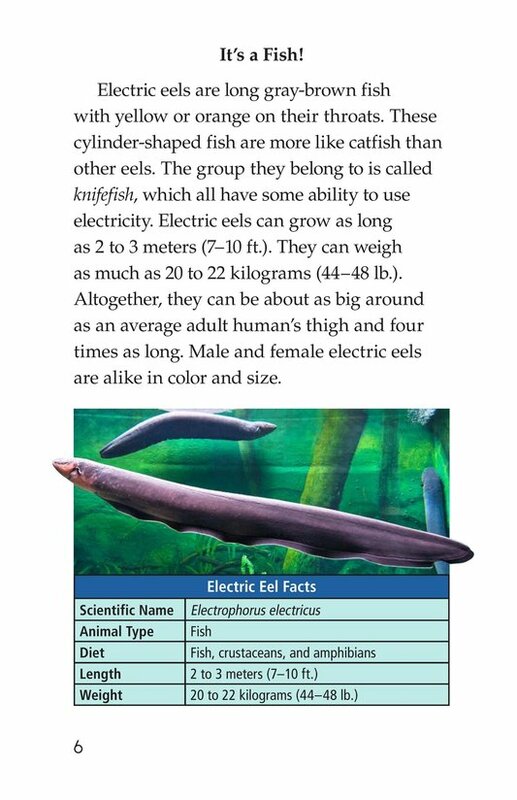 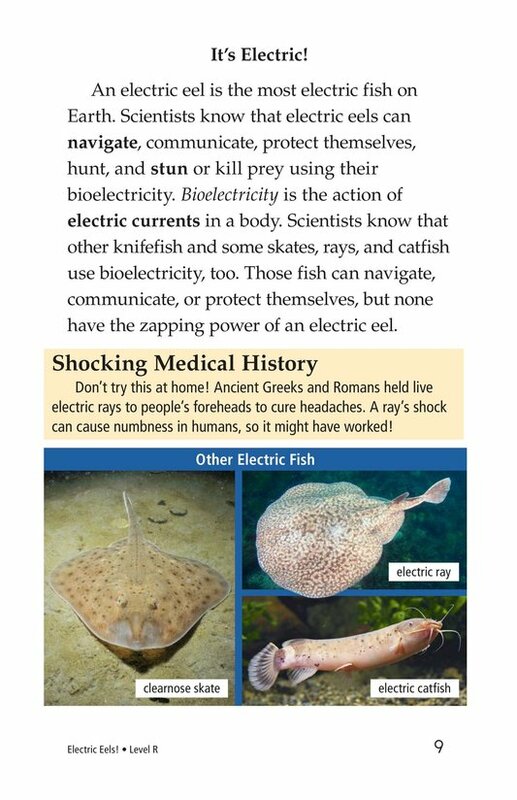 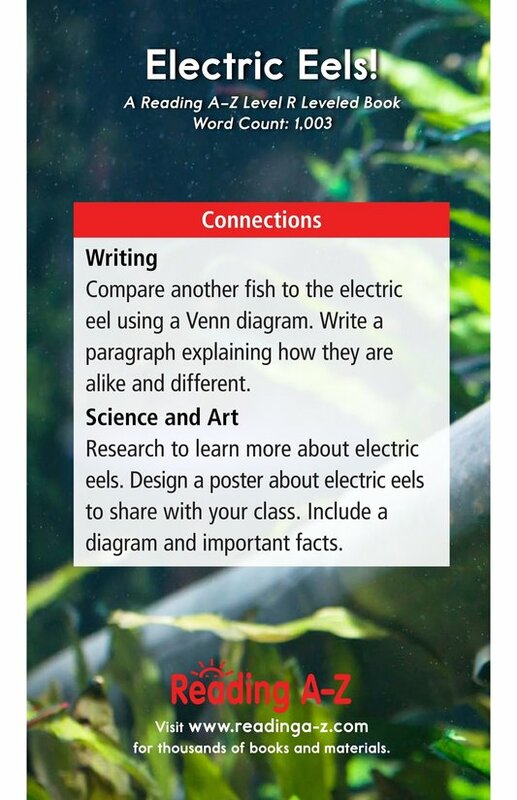 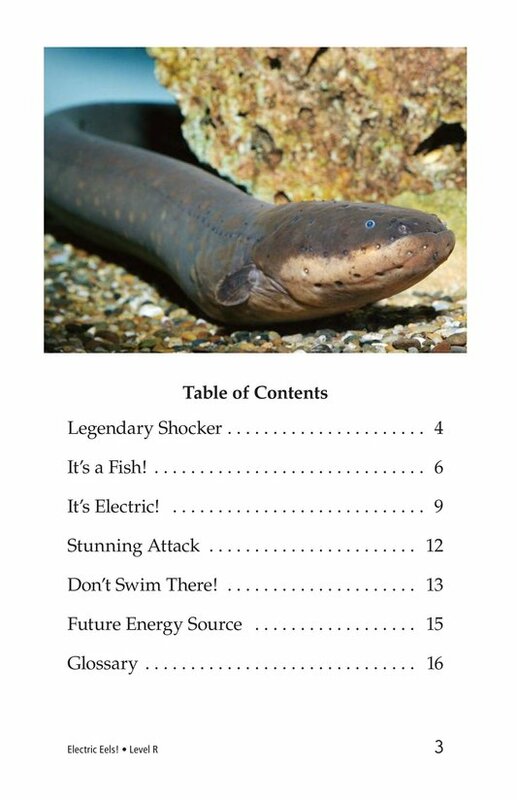 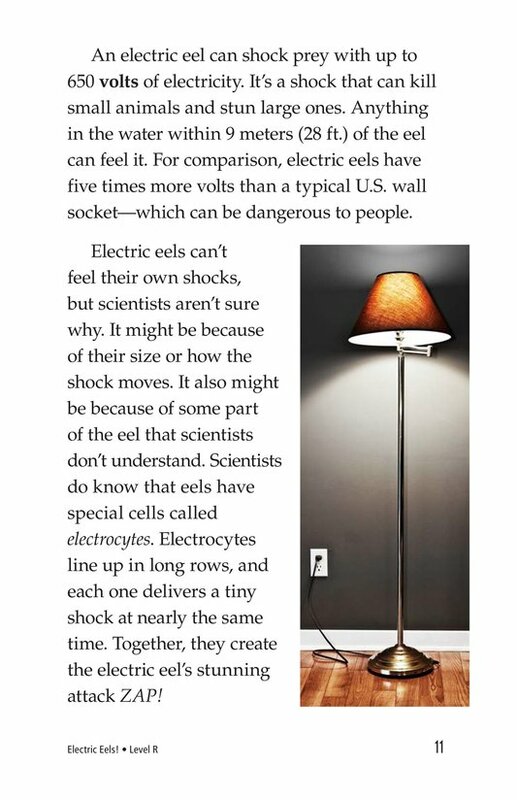 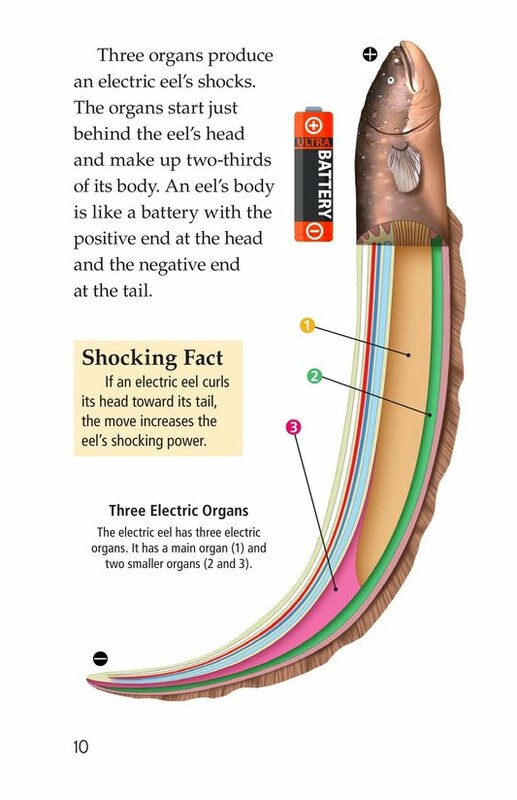 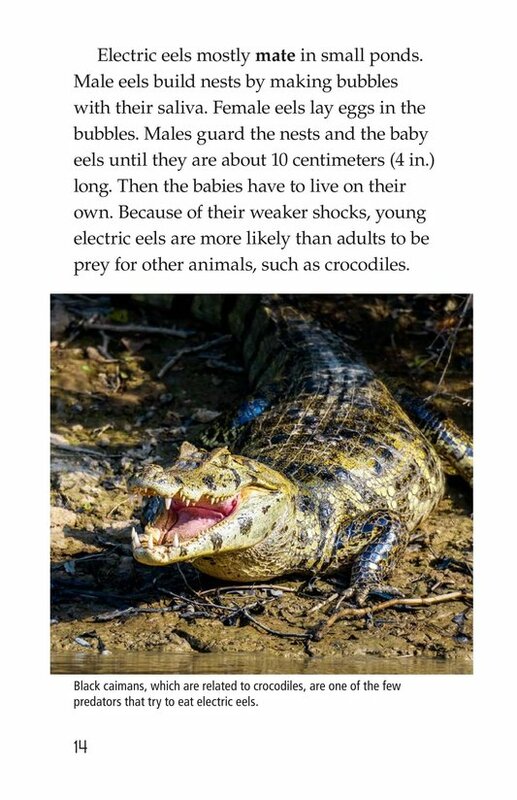 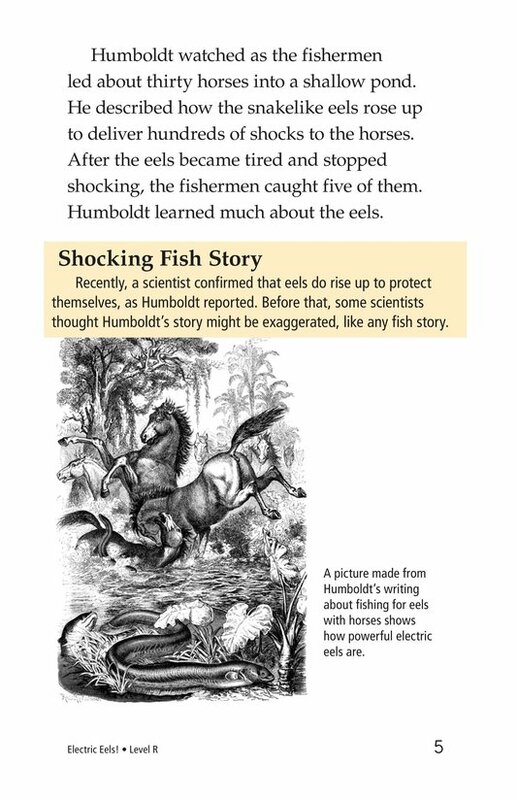 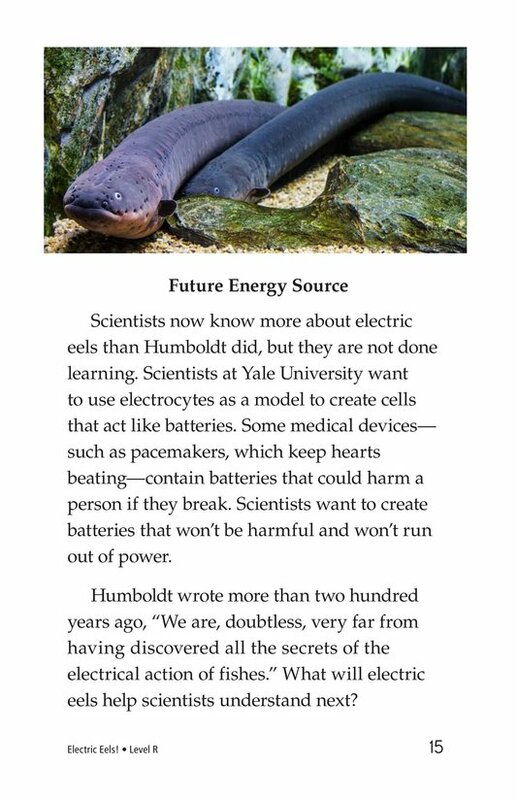 Electric Eels! 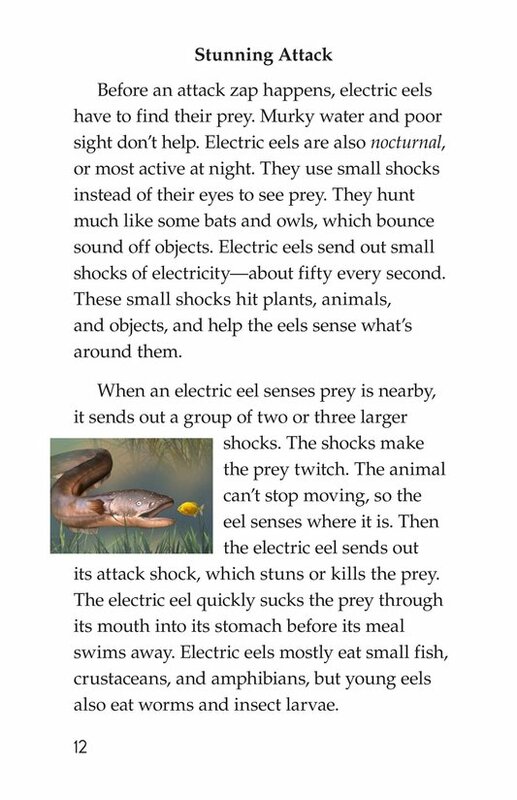 provides students with a detailed looked at these unique animals and the science behind their shocking abilities. 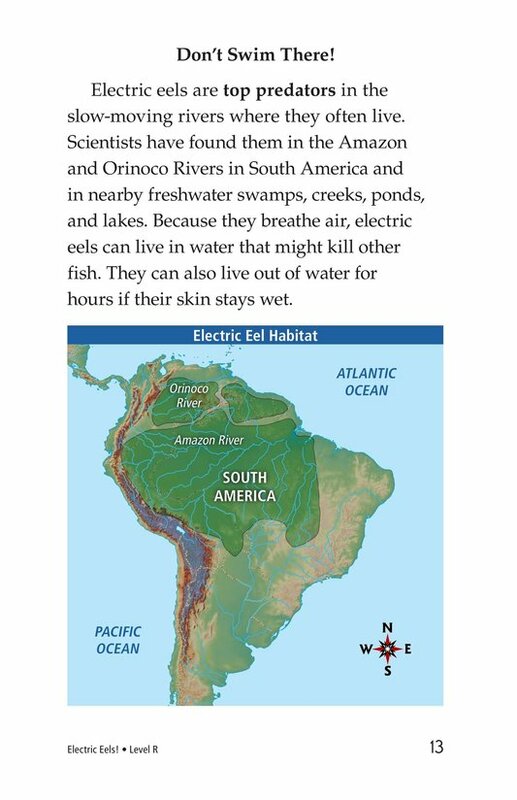 The book can also be used to teach students how to determine main idea and details and to effectively ask and answer questions. 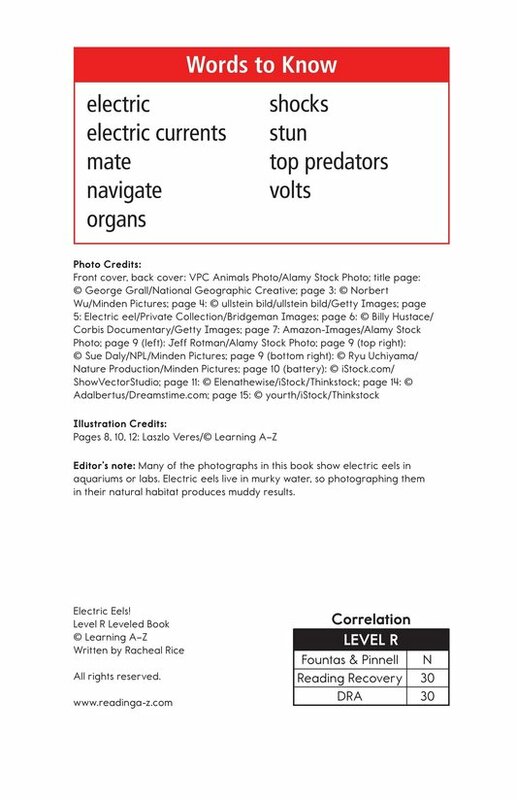 The book and lesson are also available for levels O and U.